For those of us who have a business, no matter if it is a home based business or a store front there is one thing we ALL need. We all need customers. You can call them customers, clients, team, consumers, or some other form of identification. No matter what you call them, if you don’t have someone purchasing products, or a service from you there will not be a business for very long. A business runs on revenue. You may provide products to consumers, or a service, no matter what your business is based on, if there is no one who wants what you have to offer the business will fold. So you need to keep customers returning and you also need to add new consumers to your business. There are many ways to accomplish these things, such as awesome customer service, a product or service people value and want or need and marketing to attract new consumers. Customer satisfaction is huge to keeping your business revenue stream. 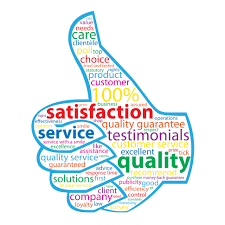 For those of us in business or not we all have heard and know certain business terms such as customer satisfaction, marketing, consumer, product, service etc. However there is a new term that is being bandied about in the business world and it is a word we need to know and beyond that know how to manage it. This term is customer churn. According to Superoffice, Customer churn is “calculated by the number of customers who leave your company during a given time period. In a more down-to-earth sense, churn rate shows how your business is doing with keeping customers by your side.” And the main reason we don’t want customer churn is that bottom line is it just costs to much to lose consumers. Losing customers is a deadly thing for businesses and can cause them to go out of business. so keeping customers happy is a vital part of every business plan. So how do we do that? How do we keep our customers happy and keep them with us. We don’t want them leaving to go to another business for what we are providing or even lose interest in our business. It is very important that we catch them at the beginning of their experience with us and then keep them with us. This practice is called onboarding. ChartMogul states that onboarding is a vital to businesses. They frame it in this way, “Customer Onboarding’ is an umbrella term that’s often used to describe the entire process that users go through when they start their journey as a customer of your product or service. The onboarding experience can define the ongoing relationship your customer has with the product.” So keeping customers happy from the very beginning is critical to the health of your business! Now let’s say that you have done everything you can to onboard your customers properly, and you have an excellent product or service, wonderful strategies to keep customers happy and returning and you provide amazing customer service. You may still lose customers for a variety of reasons. But how do you know? How do you even know if you are losing your customer base? This is the tricky part of business. You may have a myriad of ways to track your customers and keep them happy, but losing them is something no business wants. We want them to keep coming back! This is where a company like UserIQ comes in. They can help you track your customer loss, and prevent it from happening in the first place. Their website states: “Being proactive about customer success means helping users develop an immediate understanding of and connection with your product from the start. We help you do that in a data-driven, scalable and customizable way.” EVERY business should have a customer success platform, and UserIQ can provide that for you! If you want to know how to keep customers in your business and them keep them coming back, this company has a proven track record of a data driven way to easily distinguish thriving customers and ways to see where groups and features need your support. Once you know this information you can move struggling users toward success, thereby increasing your business revenue and long term success! In business, organization is always important— that’s a given. 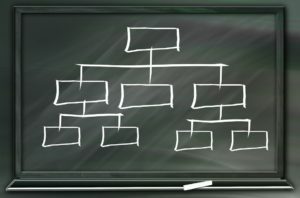 Without effective organization, your business will flounder, unable to develop to its true potential, held back by the lack of a smooth operational process. Most business owners are well aware of this, and thus take the time to ensure that the basics of their office and business organization are always achieved. However, even the most diligent of entrepreneurs can overlook certain aspects of their company— and this is definitely true when it comes to evaluating the organizational prowess of an enterprise. As a business owner, you’re going to want to chase down these areas and bring them into organizational line along with the rest of your company. So, which areas should you be focusing on? For many entrepreneurs, the fact that staff need time off is little more than an inconvenience. Of course, you understand that they need that time off and you’ll do all you can to ensure they get it, but it’s never at the top of your priority list. That’s understandable, but it’s also something you need to rectify if you want to keep your staff happy. Take the time to design a way of managing how staff request time off and how the schedule is managed to accommodate this. This is particularly important during times when a large number of staff members will want to request time off; for example, during the holidays. Your business’ digital assets — documents, photographs, files, and so on and so forth — should be stored in a central, easily-accessed, and incredibly organized way. Sadly, this is something that many businesses overlook; as the number of documents needed to run a business continues to grow almost exponentially, it can feel nigh-on impossible to keep up. However, it is possible, and the longer you wait to start, the tighter it’s going to be. For most businesses, digital asset management can help them streamline their digital assets, and ensure that all members of staff are able to locate the exact digital file they need, the moment they need it. If you don’t currently have any solutions implemented in terms of digital asset management, then now is the time to begin. Responding quickly and efficiently to all complaints from customers can be the difference between a good business reputation and a terrible one. It’s vital that you implement a system that manages all forms of customer contact across all mediums so as to ensure you’re able to deliver effective response times. This is usually a matter that can be handled using a spreadsheet for smaller businesses, but larger companies may want to investigate specialized customer complaint management software. Dedicated software can make the management of complaints incredibly simple, and help to rescue a relationship with a customer that has been compromised by a fault they have experienced. The above three areas are easy to overlook when it comes to executing excellent organizational strategies throughout your business. By altering your strategy to incorporate these often-overlooked aspects of your business, you’ll be able to be sure of smooth organizational operations in your business. 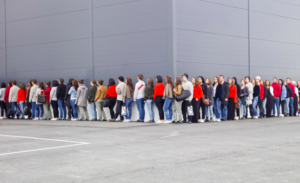 Attracting customers or clients is a key part of running a business, and the wider you open your doors – the more that can come through the door. Accessibility is important to your business to make sure that everyone is equal and treated the same. Your business can be a part of a more inclusive community, cementing your status as a business leader. Want to make your business more accessible? Take a look at ten ways for how to get started. Whether you own a store an office or another type of business establishment, it’s important that you make it accessible for people of all disabilities so that both staff and members of the public can enter with ease. Wheelchair accessibility is a basic requirement that should be a must for your building, while other rails and automatic doors can also help people to get into your building. Not all buildings will have an accessible front entrance, especially older buildings, so having clear signage to alternative entrances can make a difference to visitors. 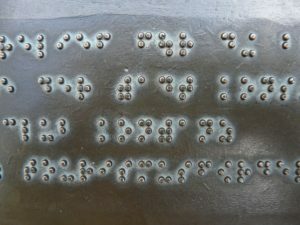 Adding Braille can help those who are blind or are visually impaired to read signs and get around your building. Make sure that any information about access to your building is on your website and that all employees know what advice to offer. With graphic design being such a creative process, accessibility can be the furthest thing on your mind when you’re simply creating. However, when you consider how many people in the world suffer a disability, you’ll soon realize how important it is to create work that’s accessible to everyone. There are different ways to consider accessibility in visual projects that will help you produce work which can be enjoyed by a wider range of people. Put a period between letters of abbreviations or acronyms such as N.Y.P.D to ensure screen readers can pick them up and don’t try to read the word phonetically. Use accessible color combinations – Colorsafe is a fantastic tool that you can use to make this happen. Provide accessibility guidance on your website. Mobile devices are now the most popular way for people to access the internet. Phones are also packed with different accessibility features to make it easier for those with disabilities to consume content. Mobile apps are an easy way to bring your content mobile, with special software available to check your app is compatible for those with access needs. A software testing service such as this can save you time and money and make sure you get accessibility right. If your company doesn’t have an app, make sure your website has been adapted for use on other devices. People who have disabilities have different needs – not everyone’s the same. To make sure you’re offering the best service possible, you should ask all of your customers or clients whether or not they have any requirements to be able to enjoy your service. Show an interest and treat everyone the same – and if your staff need any support in learning how to work with people with disabilities you should offer them training opportunities to make sure they can offer services to everyone. Businesses can also make the most of data provided by their customers through offering surveys, etc. on how to improve services. It can be limiting for people to just have a phone number or an email address to contact you on, so make sure that you offer people different ways to get in touch with you. Having a telecommunications relay service (TRS) can help people who are deaf to make phone calls, while some people might still prefer to put a letter in the post. If you have employees who are willing to learn, you might also wish to support them in learning sign language to be able to communicate better with people who are deaf or hard of hearing. While there are legal requirements to ensure that different policies support equality, you should review your existing policies regularly to ensure that they consider those who have disabilities, as well as religious beliefs and sexuality. It doesn’t hurt to bring in an expert in this area or to consult with someone from outside of your business to make sure that your policies are fair and compliant. More and more businesses are using videos across their digital platforms, including social media, to engage with their audiences. By adding captions to video, you can ensure that those with hearing impairments can also experience your content. You can go one step further and add sign language to your videos, but this could be costly for small businesses. There are free ways to add captions to videos that don’t require video editing skills to use. As a business, one of the best things that you can do is to put accessibility first. Rather than thinking of accessibility as an afterthought, make sure that the services you offer are fully accessible and provide alternatives when something isn’t possible. It makes good business sense to be accessible, so make sure you stay ahead of the rest by putting accessibility at the heart of everything you do. Could your business be more accessible? Find ways to provide an inclusive service to everyone and help others to make changes too. You can help make society a better place, so do your bit to help everyone feel welcome.